Blowout Sale! Save 62% on the Gro Pro Nursery Pot w/ Textured Sides # 10 by Gro Pro at Go Plots. MPN: 725670. Hurry! Limited time offer. Offer valid only while supplies last. 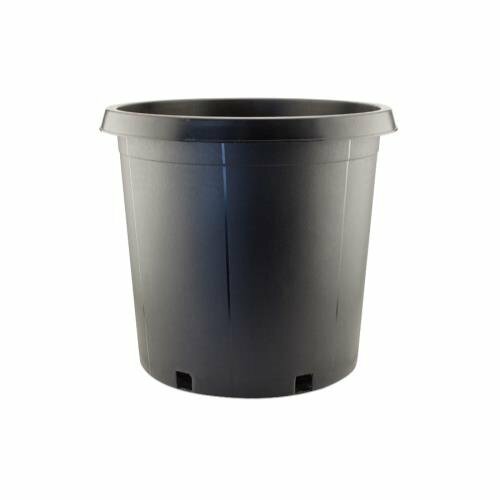 Gro pro nursery pots with textured sides are a heavy duty injection molded pots and are much stronger than a traditional blow molded nursery pot. Gro pro nursery pots with textured sides are a heavy duty injection molded pots and are much stronger than a traditional blow molded nursery pot. These pots are reusable and offer a long life span. The textured sides make these pots easy to handle and more aesthetically pleasing than traditional pots. Made with recycled material.